Ever since I was young, I've always loved what the Kotex brand stands for – being a strong, empowered, confident and independent woman. Now that I'm on my own and working a fabulous 9-to-5 marketing gig, it's funny to see which brands and products have stuck by my side. That's why when U by Kotex launched, I couldn't help but love their products. Stylish and – most importantly – discreet, I can slip the products into even the smallest of my bags in a cinch, just like I did above! I most recently purchased U by Kotex while I was shopping over the weekend, and couldn't help but notice the handy bonus liner packs that are available with purchase at Walmart stores. Hello, added-value and convenience. The best part? These bonus liner packs are available at Walmart stores for the entire month of October. Below I'm sharing the top three reasons why I'm sticking with U by Kotex for the long-haul, and why you should, too! Because nobody wants a bulky workbag. You've already packed your work bag with your laptop, notebook, multiple pens, makeup and snacks – how much more can you squeeze in? 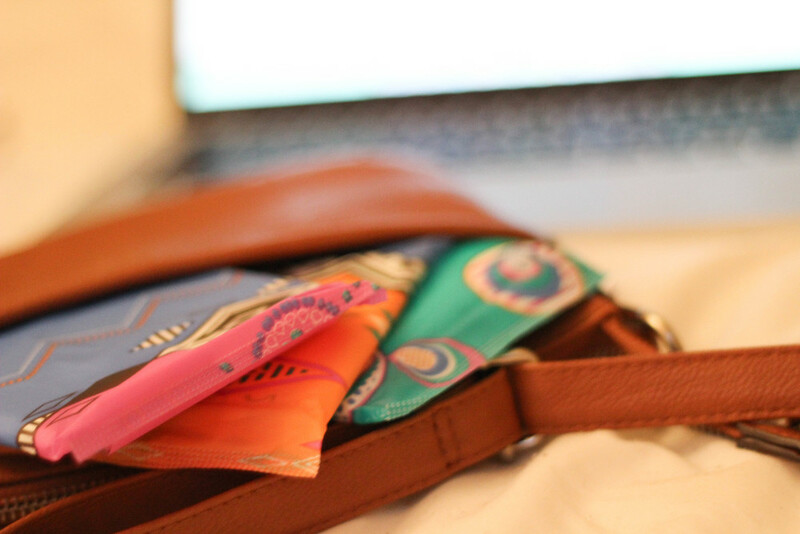 With U by Kotex, I never have to worry about adding another layer of – ahem – fluff to my bag with bulky feminine products. Slim and discreet, they're out of sight and out of mind until I need them. You never know when an unexpected meeting or late work night is going to pop up, and the last thing that you want is to worry about dealing with a leak! I can trust U by Kotex to get me through the workday, everyday. Because you deserve to feel confident. The number one thing that I love about U by Kotex? You can count on the products to leave you feeling confident and independent throughout the day. From the fun packaging to the top-notch quality of the products, it's safe to say that you'll fall in love with U by Kotex, too, once you give it a try. I was compensated by U by Kotex in exchange for this post. However, I would never write about products that I truly didn't love and use! What do you love most about U by Kotex? Leave your thoughts in the comments below or tweet us at @HeyWorkingGirl and @UbyKotex using the hashtag #independentu!